Renowned psychologist and best-selling author of The Dance of Anger sheds new light on the two most important words in the English language - I'm sorry - and offers a unique perspective on the challenge of healing broken connections and restoring trust. The renowned author of The Dance of Anger gives us more than 100 rules that cover all the hot spots in long-term relationships. 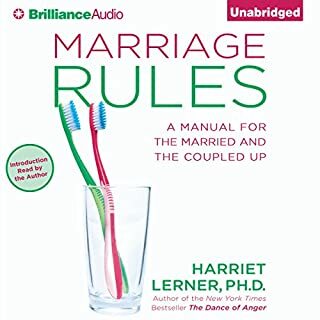 It’s a go-to guide brimming with Lerner’s signature clarity, wit, and warmth.Couples today operate in a time famine. One or both parties are likely to be hit by one stress after another, and marriage is the first thing to suffer. Here are memorable, easy-to-grasp rules to remind readers of their own good common sense - or to help them get off automatic pilot and do something different. 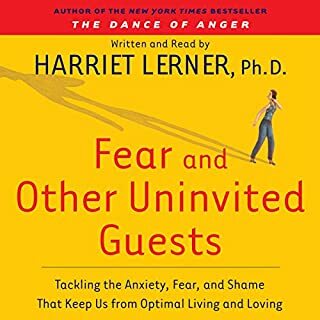 A resource for couples in which one of the partners suffers from attention deficit hyperactivity disorder (ADHD), this book guides troubled marriages toward an understanding and appreciation for the struggles and triumphs of a relationship affected by it and to look at the disorder in a more positive way. Going beyond traditional marriage counseling, this discussion offers advice from the author's personal experience and years of research and identifies patterns of behavior that can hurt marriages. How do I forgive? Nobel laureate Archbishop Desmond Tutu has witnessed some of the worst crimes people can inflict on others. So wherever he goes, he inevitably gets asked this question. This audiobook is his answer. Writing with his daughter, Mpho, an Anglican priest, they lay out the simple but profound truths about the significance of forgiveness, how it works, why everyone needs to know how to grant it and receive it, and why granting forgiveness is the greatest gift we can give to ourselves when we have been wronged. By: John M. Gottman Ph.D.
For the past 35 years, John Gottman’s research has been internationally recognized for its unprecedented ability to precisely measure interactive processes in couples and to predict the long-term success or failure of relationships. 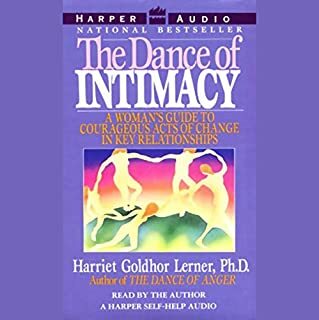 In this groundbreaking book, he presents a new approach to understanding and changing couples: a fundamental social skill called “emotional attunement,” which describes a couple’s ability to fully process and move on from negative emotional events, ultimately creating a stronger relationship. Written from her dual perspective as a psychologist and a mother, Lerner brings us deeply personal tales that run the gamut from the hilarious to the heart-wrenching. From birth or adoption to the empty nest, The Mother Dance teaches the basic lessons of motherhood: that we are not in control of what happens to our children, that most of what we worry about doesn't happen, and that our children will love us with all our imperfections if we can do the same for them. Anger is something we feel. It exists for a reason and always deserves our respect and attention. We all have a right to everything we feel - and certainly our anger is no exception. 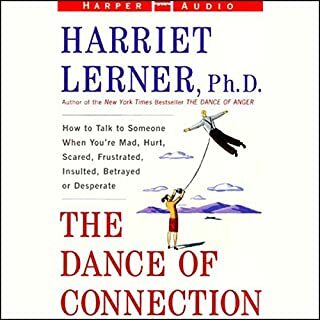 "Anger is a signal and one worth listening to," writes Dr. Harriet Lerner in her renowned classic that has transformed the lives of millions. While anger deserves our attention and respect, women still learn to silence our anger, to deny it entirely, or to vent it in a way that leaves us feeling helpless and powerless. 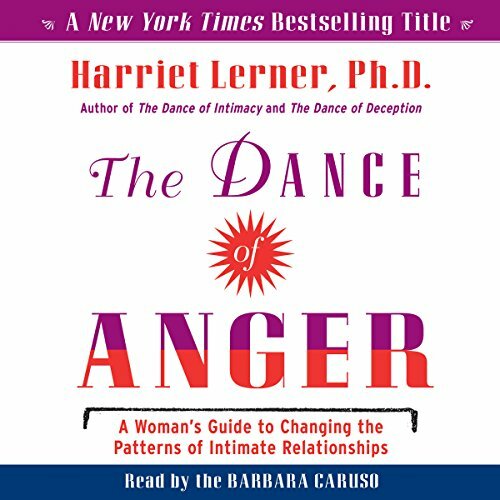 In this engaging and eminently wise book, Dr. Lerner teaches both women and men to identify the true sources of anger and to use it as a powerful vehicle for creating lasting change. For decades this book has helped millions of listeners learn how to turn their anger into a constructive force for reshaping their lives. With a new introduction by the author, The Dance of Anger is ready to lead the next generation. I've never left a review before. I'll first talk about the book, without trying to give away anything (read it! ), and then the narrator. BOOK: This book is really awesome. I'm not a fan of reading self help books, I find them preachy, repetitive, and drawn out. This was the exact opposite. The book was written like a good paper: tell them what you're going to tell them, explain it in detail, summarize what you've told them. She goes over what the book will do and what it won't do. Then she goes into it, providing ONE example. Towards the end, she introduces a new concept. Before she delves into the new concept, she summarizes everything you've just learned, gives a different spin on the example, and tells you what chapter to go back to if you need more help. She then reintroduces the new topic and explores that further. It was very clear, and very quick. NARRATOR: She did an awesome job. SUPERB. I loved listening to her. I actually thought she was the author because she spoke so authoritatively. She didn't try to get fancy and come up with voices/accents for each character the author noticed. 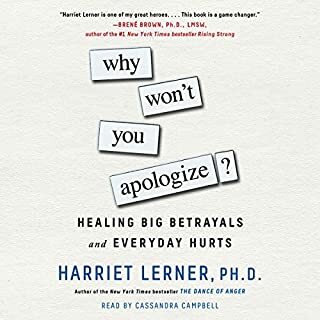 In fact, I did not appreciate how wonderful of a job she did until I started listening to the "Why Won't You Apologize" book by the same author, narrated horribly by someone else. Barbara Caruso did such a good job, I'm going to look for other books narrated by her. But for this self-help book, her ability to speak so clearly and authoritatively really just drove home all the points the author made. It was a wonderful combination. I read this for a class and it was an ideal supplement to my other class texts. The material is good, sometimes the delivery sounds dated. Great read for a man or woman. Learn to benefit from power of anger! Helpful for either gender, and for any relationships. Dr. Lerner explains how we can break the cycle of blaming in a relationship. Most helpful self help book ever! I originally read this book 20 years ago, and recently felt the need to revisit it. I downloaded the audio book (long commute) and found it just as helpful. The narrator was excellent, and I love the stories and different examples of how to put the advice into play. I only wish that there were a non gender specific version for reluctant men, because the advice given does bridge the gender gap if one is able to "hear" past the she/her narrative. Wonderful advice for anyone who has relationships with others. I can see myself and/or most of my female relatives in many of the stories! I'm going to have to listen to it again to be sure it all sinks in! Helps us understand our anger and emotions instead of feeling guilty about them. I loved the book. I'll be listening this again, a lot of the examples in the book are very close to my personal life. I would have like a more in depth exploration of each scenario, but I will be going over them with my therapist. Thank you to the author, I think your book will help greatly in my life. This is an excellent book. A keeper should I say. While I read I had a lot of Aha moments and the examples and tips are so well explained. Every woman should have a copy. This is the 3rd time I've returned to this book and each time I find new insights. 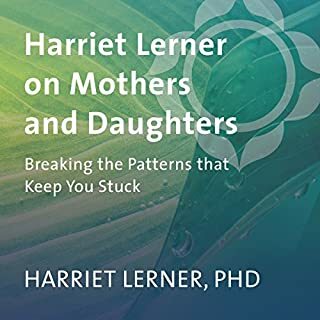 Harriet Lerner has helped a great many people with this book, the discussion on who is responsible for what, the questions she guides us to ask ourselves and the position of being for ourselves and not against others is just what I have needed time and again in my life. Harriet helps us to see that as women we're often encouraged to feel responsible for the thoughts, feelings and wellbeing of others but not for our own, she calls this being in a de-selfed position. By owning the responsibility for our own wellbeing, seeing where and how our actions are part of the patterns in which we are entrenched, we can choose new behaviours breaking the cycle of impotent anger and using our anger as a tool for transformation and self empowerment. As a relationship Counsellor I highly recommend this book to everybody, not just women. It covers all the things I cover with my couples so it was great to listen and be nodding and agreeing everything! Absolutely loved this book. Will be reading it again (and again). Brilliantly insightful. Packed with wise insight. As a man, I got a whole 3 minutes in before the anger started to dance. Chauvenistic to the extreme, which is a shame as some of non gender specific insight in the first minute was useful. As always, Harriet Lerner gives so much excellent practical advice, shares many stories & communicates very clearly. Loved this book! I have enjoyed this book so much. I learned so much and I wish I had read it years ago. I recommend it to any man or woman who feel stuck in a relationship with their partner, parents, children , or colleagues. I think the discussions apply to both gender, and men can benefit as much as women. The information is great but the narrator sounds like a school madam a bit off putting. Maybe I need to work on my anger around that.